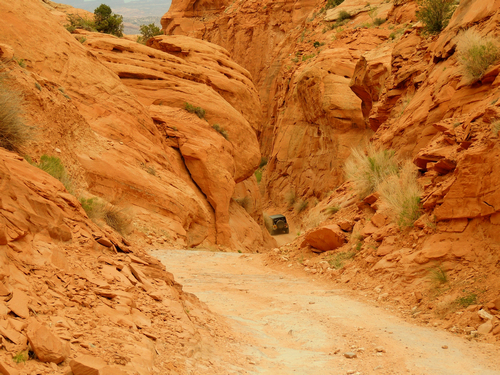 Long Canyon is a nice easy drive for most high clearance vehicles that offers great views of Long Canyon and the La Sal Mountains. 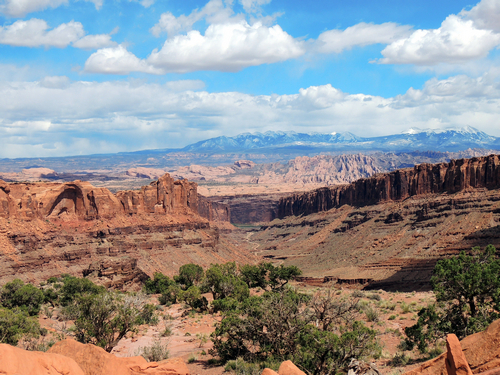 This trail makes a good loop when combined with the Potash Road/Shafer Trail, and also works well as a shortcut back to Moab after visiting Dead Horse State Park or the Island in the Sky district of Canyonlands National Park. 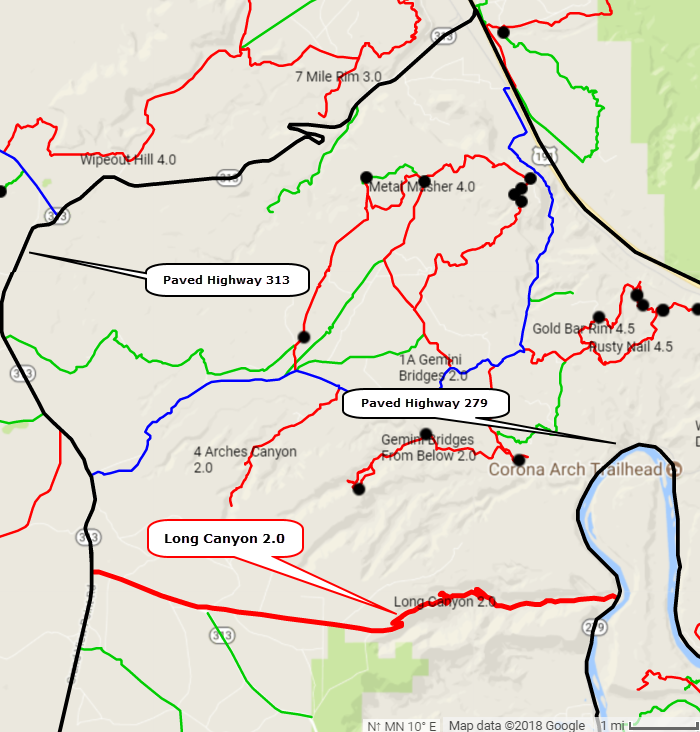 The majority of this trail is pretty smooth, however, there are a few bumpy sections; especially when you head through Pucker Pass where it gets both narrow and bumpy. 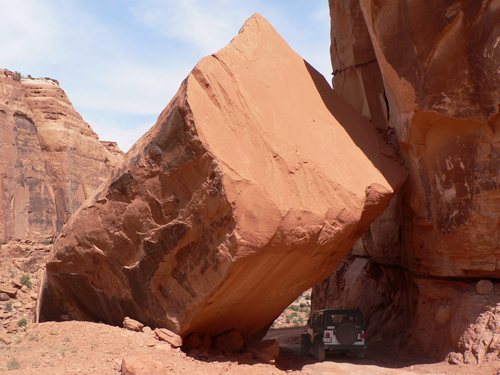 There is also a great photo opportunity where you have to pass under a large boulder that fell from a cliff above creating a natural tunnel.